There’s something special about holding a photograph in your hands. It connects you physically to a time, a place, and a feeling—an experience that an image on a screen simply can’t replicate. Of course, digital files are beautiful and certainly have their place but a print or custom album is something you’ll pass down for generations, providing a connection to your wedding day that you and your family will cherish for years to come. A fine art album is our favourite way to display a large number of photographs from your wedding day. They come standard as 10 by 10 inch custom-designed book and feature up to 100-150 images up to 45 spreads (90 pages). The quality of the album itself is unparalleled, printed on thick archival matte paper and bound in your choice of leather, cloth, and embossing styles. The seamless binding means theres no messy lines down the middle of the book allowing for full page spreads without loosing any of the image. 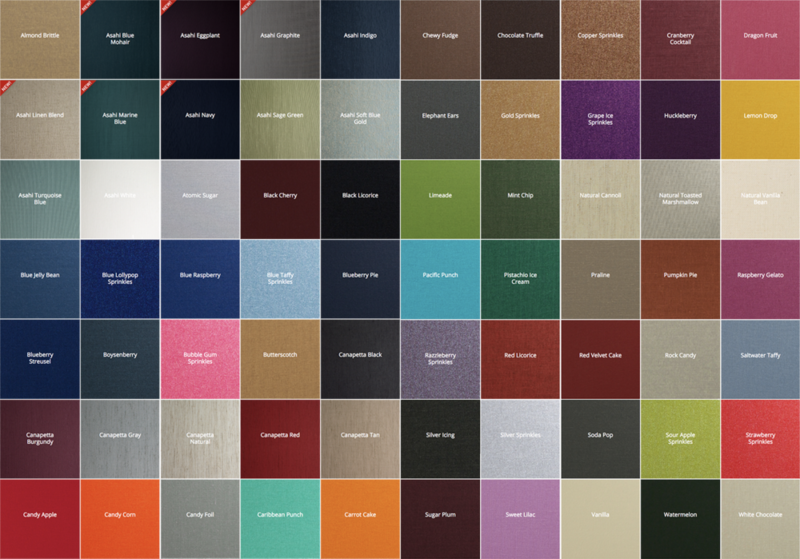 BOOK SIZE: 10x10" or 12x12"
COVER MATERIAL : Choose from the selection of leathers & book clothes in the swatches below. EMBOSSING COLOUR: gold / silver / black / rose gold / white / red etc. FONT: Pick from one of the fonts below or send me through the font file. Submit your favourite images using your gallery (there is a love heart symbol to select favourites). For clients with no online gallery please write down the file numbers. We will then design a draft and upload it online for you to review. Make design changes if needed after reviewing your album. For no fee we can go back & forth on the draft 3 times making changes. An additional fee of $100 per set change will occur thereafter. We have never had to charge this as everything always looks great after 1-2 changes. Once all approved, we will send you through a final draft to sign off with a book release form. Once we get back this back, we order the album. Your album will take approximately 4 weeks to make and will then be posted to you. How do I chose my images? I don’t know where to start! Don’t overthink things too much! Your first instincts are probably right. The photographs you loved most the first time you saw your photos are a good place to start. If you are curious to know which are my favourites of the day I can add them into the first round of the album design and you can chose wether you would like to keep them there or not. Should I include images from the whole day? Although it’s important to have an overall sense of narrative, when illustrating the story of your wedding day, don’t feel like you need to include every single event/moment/important person. Group photographs are mostly for family history purposes. You don’t need all of them in the book. One nice photograph of the whole family is all you really need. We like to be able to show who came out and celebrated you two tying the knot. Years later, you’ll want to know who was there. How many images do I choose? It’s hard to put an exact number on image selection as this totally depends on how many spreads you would like. For a 45 spread album around 120 images is ideal. You can, of course, submit more or less and we will try work them into the design, but always recommend about 120 images so the design does not end up too cluttered. If you are having trouble picking out favourites or life is just too busy to sit down to do it, I can always select the images for the book design (you will have the option to make changes obviously) Just let me know if you prefer this option. In your gallery you can pick your selection by adding each image to your favourites by using the "Favourite" button / love heart symbol icon. For our past clients that don’t have any online gallery you can write down the file numbers. Once you have made the final selection, email me saying you are complete and we can login to see your list and start the design. I've submitted my favourites, what's next? Once we receive your favourite selection, we will start designing your book! We will do a draft layout to what we think looks good and tells the story of the day. When this has been completed, we will upload the layout online and send you information to log in and view your design. You will be able to make comments directly onto the website about any changes you would like made. This is the best time to be honest, if you don’t like the page at all, please tell us. Don’t worry we will not be offended! You can come and go from this website as you please, your comments will be saved until you are ready to submit them. Once you submit your comments, we will then make all the necessary alterations. We will re-upload your new layout and let you know so you can add your comments again. You get three opportunities to make changes. After that, each set of changes will cost $100. I’m loving the design, what now? Once the book design has been approved by you, I will send you a PDF proof to sign off on. When we receive this approval your album order is placed and it will take approximately 4-6 weeks (but can be up to 12 weeks in peak season) before it gets shipped back to us. Once we receive the book, we will double check that it all looks amazing and send it out to you. From start to finish, the whole process should take around 8 weeks or less.